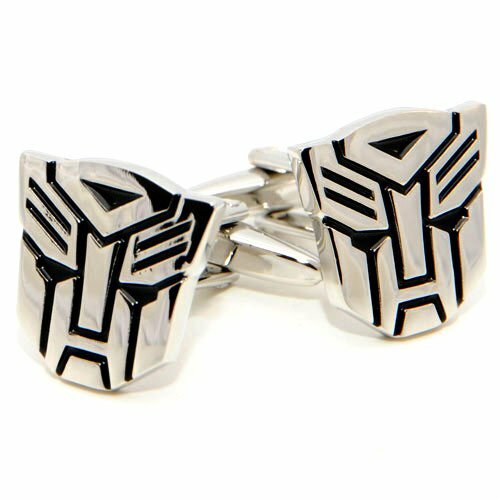 The post-Christmas sales are in full swing and today we have some Transformers gift ideas for you. 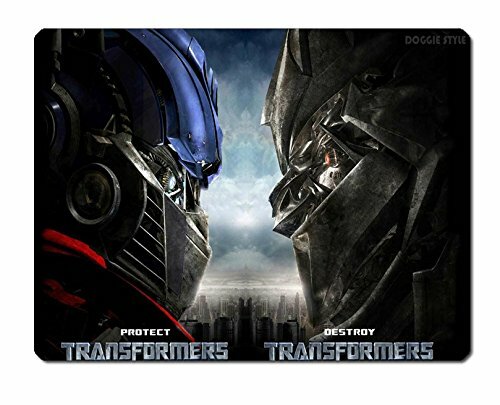 If you have a friend or child who loves Transformers then I’m sure you can get some great ideas from this selection of gifts. First up, we have three different action figures for you – all on sale until 1st January on Amazon so that makes for some great bargains. My favorite is Bumblebee but the Optimus Prime figure is fantastic too – very detailed and slightly more complicated to transform. 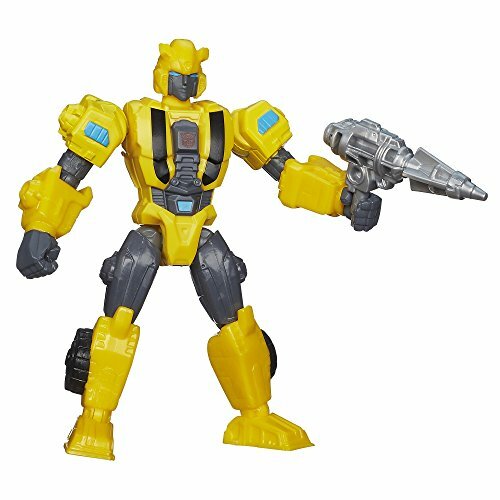 Bumblebee is one of a range of interchangable figures – his arms, legs and head can be swapped with others in the same range. 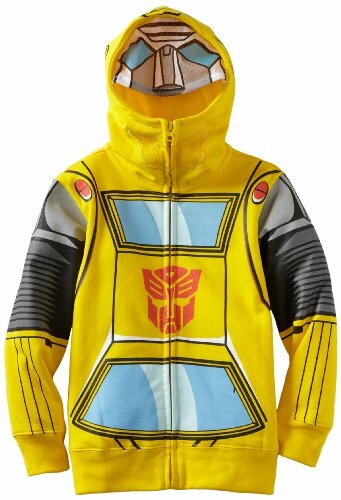 This Bumblebee hoodie is another favorite of mine – I almost wish my nephew was 8 again so I could buy it for him! 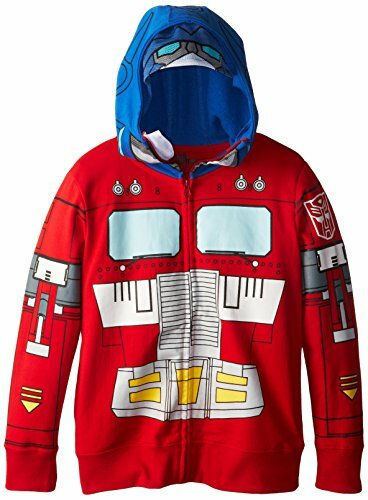 The Optimus Prime hoodie is an adult version which has the Autobots logo on the back too. 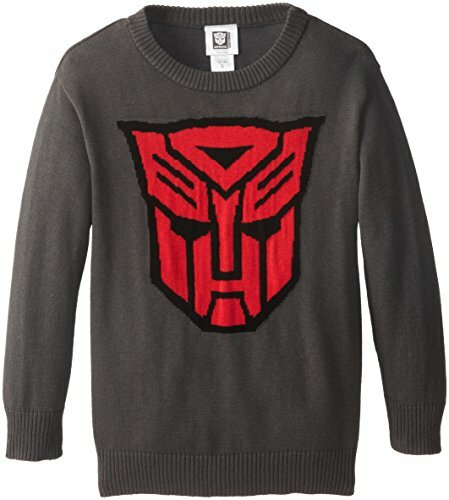 The Autobots sweater looks great with the red logo against the charcoal grey background. It’s not too garish either so might be a better choice for a more sedate Transformers fan. The adult one piece Bumblebee sleepsuit looks like it would keep you nice and cosy but you could also wear it as a costume. 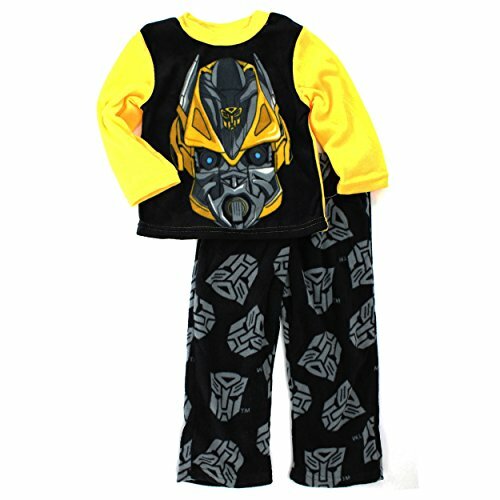 The boys two piece pajama set is made of fleece so would definitely keep him warm on long winter nights. The Under Armour compression shirt is new to me but it looks fantastic. It has four way stretch fabric, moisture wicking to move excess body moisture away and it has anti-odor technology to stop smells. 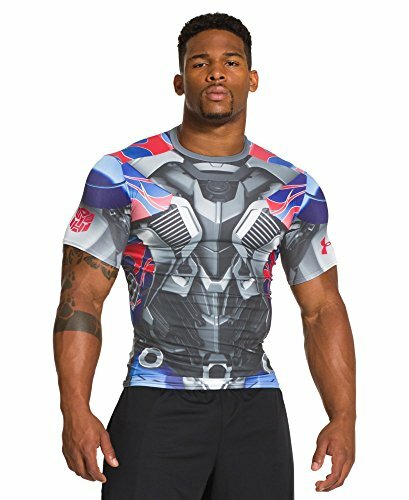 So if your Transformers fan plays sports too, a compression shirt could be a really great gift. 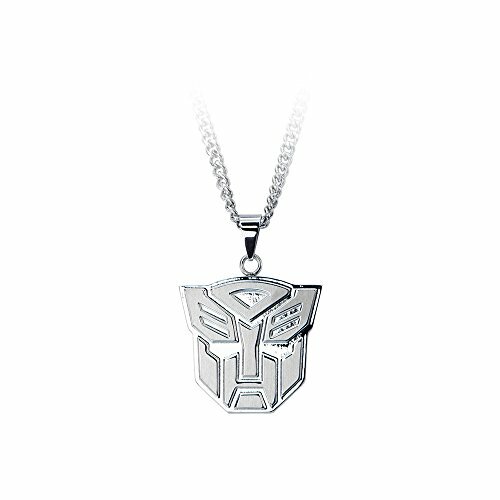 I love the Autobot and Decepticon logos and think they make great necklaces/pendants. 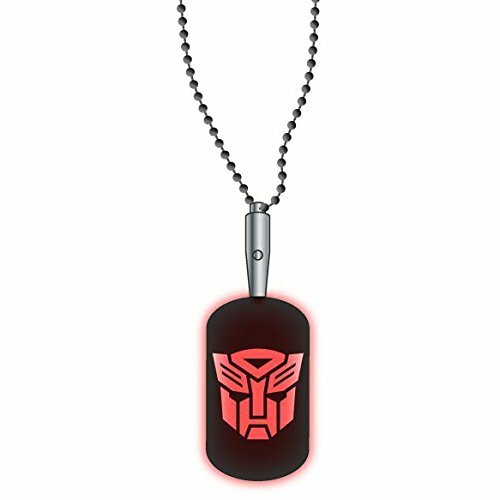 This dog tag pendant has a red LED which lights up when you press the concealed button. 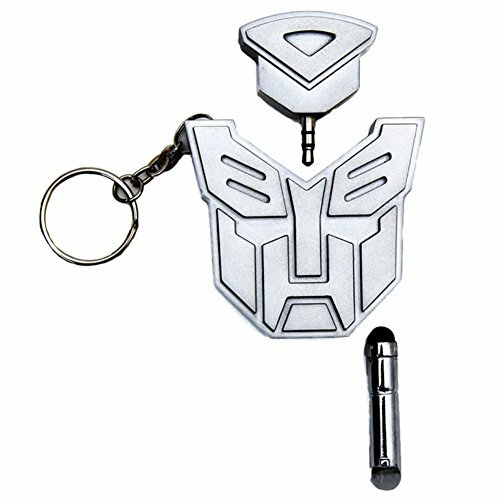 There’s also a purple one for the Decepticon logo. 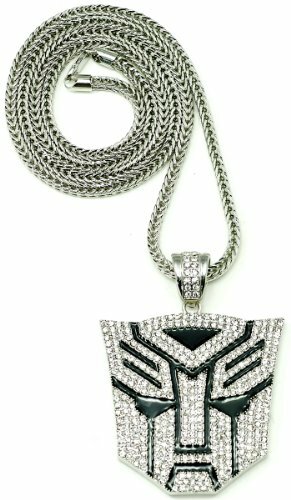 The ladies Autobot necklace is blinged out with rhinestones and is also available in slightly different designs but this one was my favorite. The other colors include gold, hematite (black) and gun metal grey. 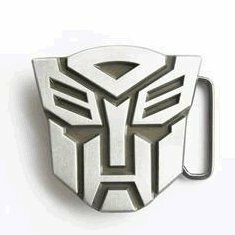 Also in the jewelry category, this Autobots belt buckle looks fantastic, especially if your Transformers fan likes fancy belt buckles! The keychain is a multi purpose one – it has headphone splitter and a touch screen stylus included as part of the design. Now that’s clever! I kept my favorite item til last today – I absolutely adore this Bumblebee wall mounted night light! 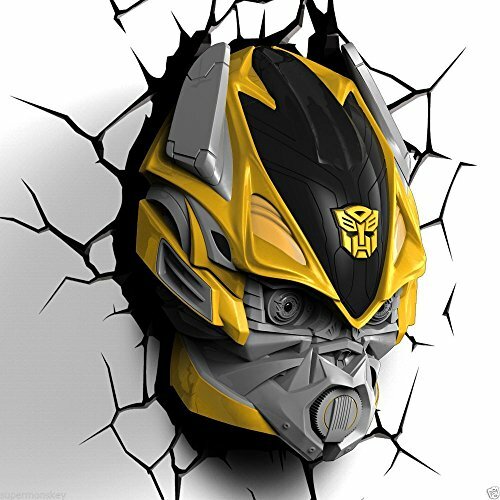 It comes with the 3D plastic wall decal so it looks like Bumblebee is coming through the wall – very effective! 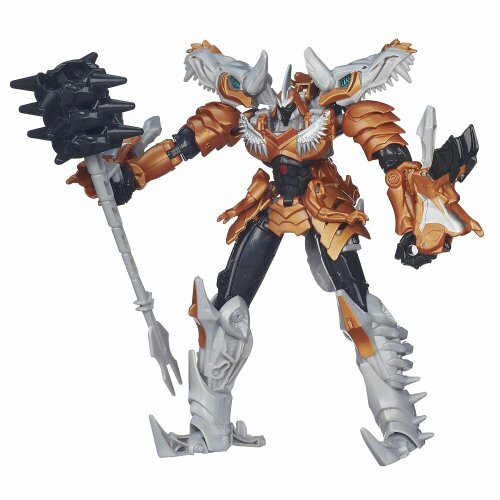 It’s also available as Optimus Prime and Grimlock too. Another strong favorite of mine is this hooded towel – I know I would have loved this as a child, especially at the beach or poolside. 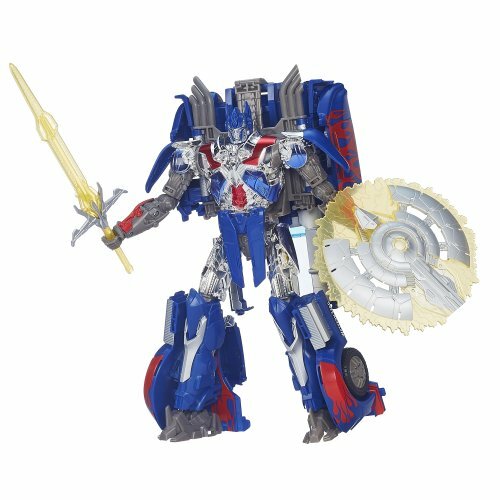 As I mentioned above, Amazon has a sale on Transformers at the moment, running until 1st January. I only included a few of the toys from the sale but there’s loads more there for you to chose from. 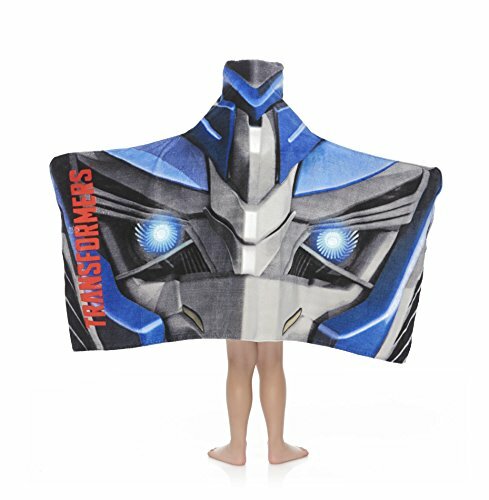 I hope you found some good gift ideas for your Transformers fan – Christmas may be over for this year but there’s always birthdays to come. Don’t forget to pop back whenever you need inspiration for geeky or gaming gift ideas – we’ll be posting regularly every week with new finds for you.